It’s the month of love. Yes, according to Hallmark. But it’s true in my own story too. Greg and I met on Feb. 7, 1998 and then went on our first date a week later. Do the math. Our first date was on Valentine’s Day. Ah, how romantic. Well, yeah, it was logistically what worked out when we met one Saturday through a mutual acquaintance and then made plans for a date the following Saturday after Greg called mid-week. Y’all that’s 17 years ago. That’s half my life. We really had no idea what we were doing then. Thankfully, now, we’ve settled into each other, come to understand love languages, survived some hard seasons, and become better equipped to deal with life together. 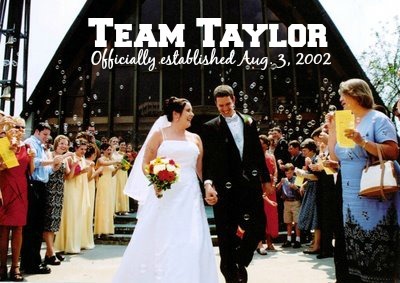 It’s true that sometimes we – all four of us – put our hands in the middle of a pretend team huddle and then raise them up while saying, “Team Taylor!” We’re sports fans, so this somehow makes sense to us. After knowing (and mostly dating) Greg for the past 17 years, being married to him for more than a dozen years, and now spending the past 7 ½ years parenting our two kids together, we get each other, still like each other, and truly do life together. It’s taken many conversations, tears, fights, road trips, hard decisions, game nights, and laughs to get us here. But there’s nobody else I’d rather be here with. That’s the sentiment Ashleigh Slater expresses in “Team Us: Marriage Together.” She tells her story and encourages other married couples to do life together as if we were gathered around a table together. She’s real and honest – and funny. The last three of the 10 chapters – “The Parent Trap,” “The Friendship Inventory,” and “Finishing Well” – were my favorites. I could relate to them. As she talked about her husband’s tendencies and how here natural response is different than hers reminded me of Greg and me. I was reminded how relying on a team approach brings grace and peace, diffusing selfishness and frustration. I appreciated her pop culture references, found myself nodding in agreement, and was encouraged to keep doing what we’re doing here at Team Taylor. I also liked the “Ted Says” tidbits throughout, offering perspective from her husband. And I thanked God for the past 17 years – the good days and the hard days, the seasons I understood and the times that couldn’t pass quick enough, and certainly all the ways he’s changed us as individuals and as teammates. Greg and I want that too. We haven’t arrived, but we are in this adventure together. We want our imperfections to spur us onto God, who can unify even the most stubborn hearts. 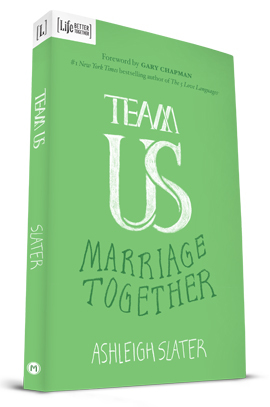 ABOUT THE BOOK :: “Team Us: Marriage Together” offers couples practical ways to cultivate and strengthen unity in their marriages. Author Ashleigh Slater shares from her own marriage as she presents couples with realistic ideas on how to foster cooperation, deepen commitment, and exercise grace on a daily basis. 176 pages. Paperback. Official website. Buy at Amazon. 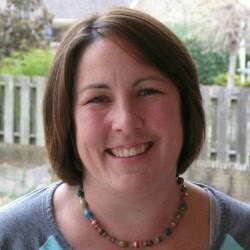 ABOUT THE AUTHOR :: Ashleigh Slater is wife to Ted and mom to four girls. She’s a regular contributor for several popular websites and blogs and has had articles published in magazines including Focus on the Family’s “Thriving Family.” Learn more at her website or follow her on Twitter. GIVEAWAY :: And there’s a copy for one you! Use the Rafflecopter below for multiple ways to enter to win. If you’re married, I’d love to hear about how you’ve gone from an individual outlook on life to a team approach. If you’re not married, share something you’ve witnessed in another marriage. A winner will be selected randomly on Monday, Feb. 9. Many thanks to FlyBy Promotions/Propeller Consulting LLC for providing me a copy of "Team Us" as well as one to whomever wins this giveaway. I received the book in exchange for this review. My opinions are my own. 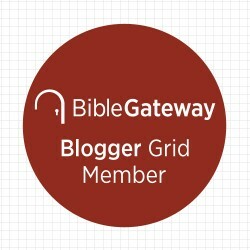 If you've won this prize on another blog you're not eligible to win again. This post also contains an Amazon affiliate link. 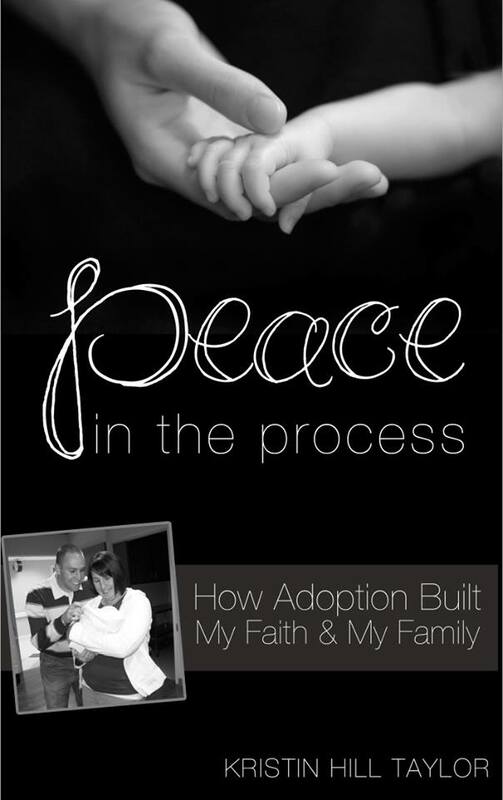 I'm also linking up with Soli Deo Gloria Sisterhood's Gathering and Anne Dahlhauser's Front Porch Conversations. Sounds like a great book! I love the visual of doing life together around a round table. Togetherness forever! Whoo-hoo! Sounds like a really good book! Marriage is hard and all of us can use sound advice from time to time. Yes, me too! I'm glad you entered, Melody! Being in the adventure "together" is half the battle! Congrats on the anniversary of your first date! I married late and of course was used to deciding things on my own. But now I always make it a point to always make sure we decide things together. I'm sure that's very helpful regardless of what stage in life and marriage one is in. Thanks for commenting here, Patsy! Oooh! Another marriage book! I love the sound of this one and I think there is SO MUCH wisdom in looking at your marriage as a team. Thank you for sharing! I wish I had some of these books earlier in our marriage, but I'm always thankful for new perspectives. Glad you're here, Jen!